I hope I’m not doing the country’s music scene injustice by stating that Austria isn’t exactly the first place you’d associate with brightly melancholic indie/dream pop/new wave. And yet, here we are, premiering a new track by Like Elephants from Grieskirchen, Upper Austria. 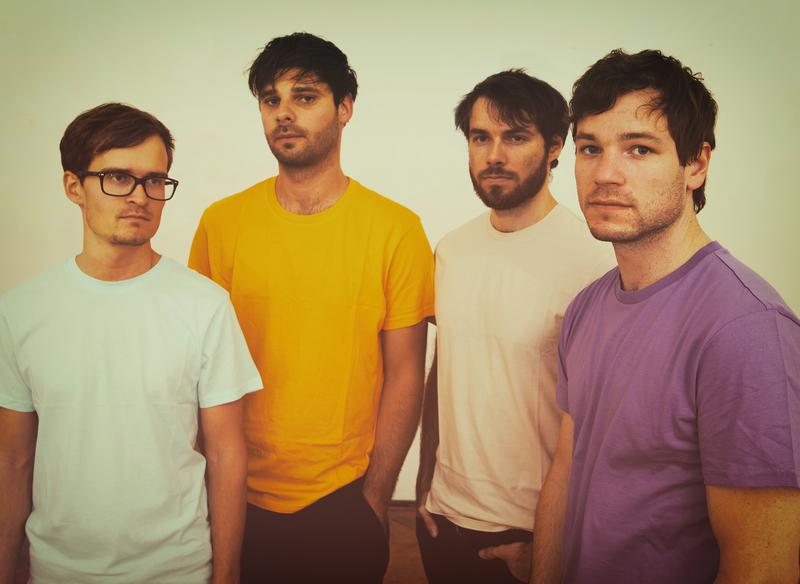 Formed in 2014, the four-piece have gained traction after the release of their début LP Oneironaut in 2016. Their borderline funky, 80s new wave-informed brand of languorous indie pop would feel right at home both on the dance floor and the subsequent afterparty; it invites the listener to let their hair down and relax in equal measure. Now it’s 2018, and the four Austrian gentlemen are about to unveil their sophomore release to the world. Kaleidoscope is due out on Friday, September 14 via LasVegas Records, and we couldn’t be happier to bring you the final pre-release single today. It’s called “Tokyo”, and comes with a stylish music video. Peep it for yourselves! First off, I adore the art style used for the video. I’m a huge sucker for colorful visuals, and the way they are handled here all but screams 80s right in the viewer’s face. The understated use of Japanese imagery fits this aesthetic very much, especially since the streets of Tokyo are every bit as bright and multicolored at night as the video is. Seldom do we get a music video that looks exactly like the song it’s meant to accompany sounds, but Like Elephants and their production team managed to pull it off in a compelling way. Hut ab dafür! Musically, “Tokyo” comes across as the love child of Beach House and The 1975. Whereas the former comparison lies mostly in the warm, almost somnambulatory bass tone and overall atmosphere, the latter becomes more obvious when factoring in the similarly tasteful use of synths and new-wave inspired, quasi-funky guitars. And as the cherry on the proverbial sundae, vocalist/guitarist/synthesist Viktor Koch is a charismatic frontman whose voice rounds off the band’s sound into something that definitely has a certain recall value. Liked what you heard? Make sure to drop by Like Elephants‘ Facebook page and leave them a like! Don’t miss out on their upcoming record Kaleidoscope when it drops; in the meantime, you can stream their previous material on various platforms by following this link right here.